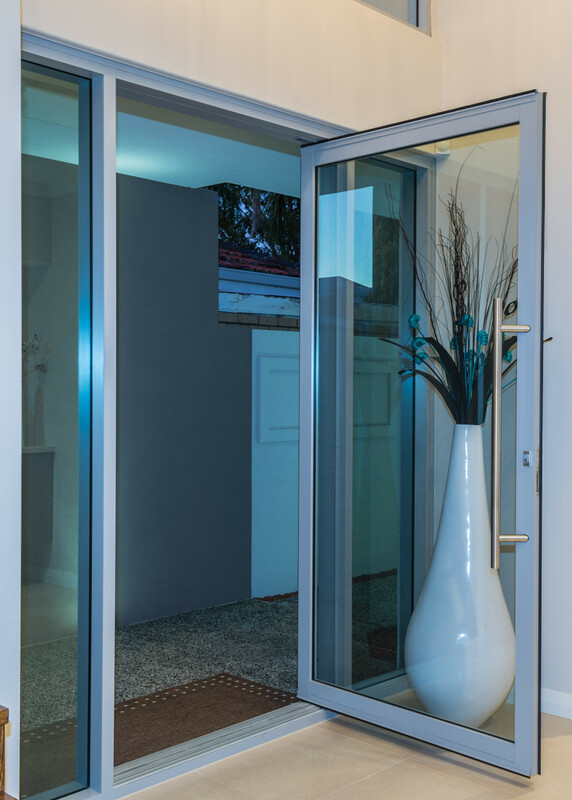 If you’re looking for a modern entrance door, talk to our Perth team first. Alternative Doors stocks everything from new bi-fold doors to stunning aluminium doors, and we have the experts to help you decide which option is best for your home or office. With an in-house team of builders, carpenters and more, we take care of everything from product selection to installation and superior service. When it comes to first impressions, a front door speaks volumes. Make a unique impact with a custom made, commercial grade aluminium entrance door. These doors offer a unique focal point for your front elevation, as well as the benefits of security, functionality and performance. These aluminium entrance doors are versatile, long-lasting and great for exterior design, making them a worthy investment for your home. All our aluminium entrance doors can be powder coated in your choice of Dulux colours. They are constructed using the highest quality materials and expertly fitted by our installation specialists. Check out our gallery to see some of our new doors in action around Perth. A modern, stylish entrance door will perfectly complement your home’s facade. It will be a true style statement that combines intelligent design with functionality and practical features. For more information about the right door for you, talk to our experts about your project. We can help you with design choices, installation, and all your important decisions. Chat to us about your architectural needs, doors for patios and pools, and for any other guidance. We’ll help you make a lasting statement with every door in your home. Do you want to discuss entrance doors or your renovation plans? Visit us in Balcatta or get in touch to arrange an onsite meeting. Give us a call on 08 9240 5068 or contact us online for fast service.